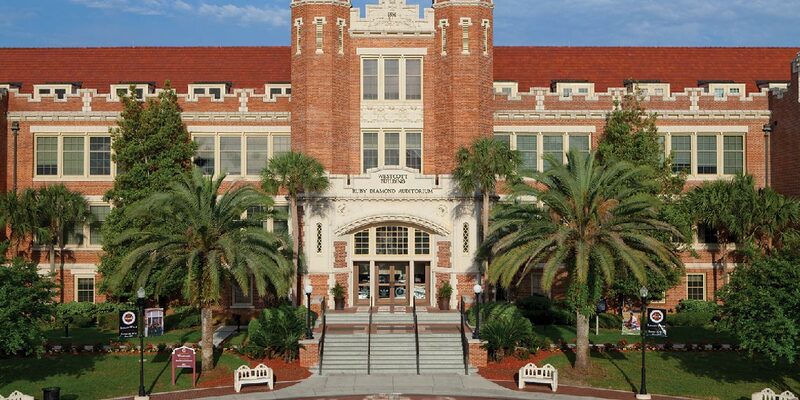 Ruby Diamond Concert Hall is the primary performance venue for Florida State University and is located on the first floor of the Westcott building. It offers a 1,172 seating capacity without seats installed on the pit. Originally built in 1911 to serve as the main auditorium for the University, it was torn down in 1951 after developing a settling crack and was rebuilt in 1954. In 1971 the auditorium was named in honor of a generous benefactor to the University and a graduate of the Florida State College for Women. 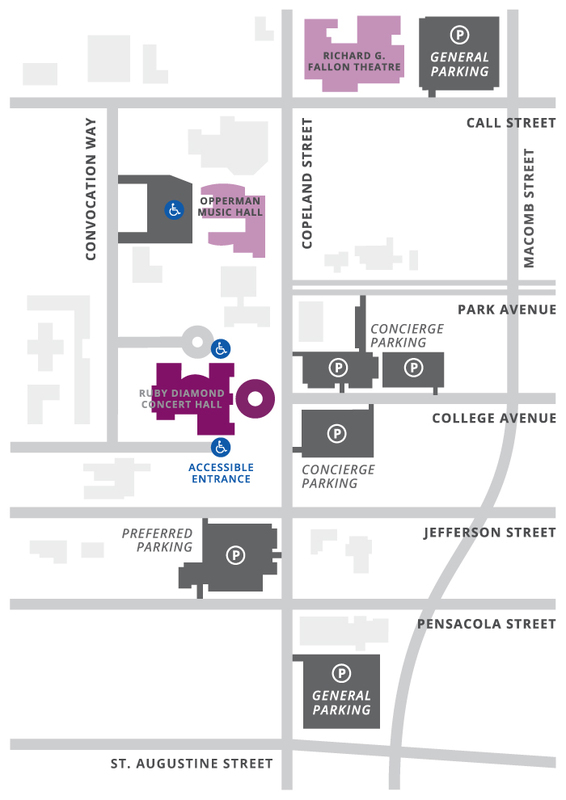 General parking is available in the St. Augustine Garage located on the corner of Pensacola and Copeland Streets, and the Call Street Garage located on corner of Call and Macomb Streets. The three lots surrounding Ruby Diamond Concert Hall are reserved for Opening Nights Sponsors and Members. Sponsors and Members receive parking passes with maps. Accessible parking is available at the North Entrance and South Entrance of Ruby Diamond Concert Hall and may be accessed from Convocation Way. Below is a map of where Sponsors and Members may park for Concierge and Preferred levels as well as where accessible and general parking areas are located.